It’s all in the shade of blue you choose and the hues you pair it with. Discipline is key. “Keep your palate restricted,” Shelley advises, “but don’t be afraid of blue.” By exploring blue in all its moods and shades, you can find just the right hue to create a beautiful, serene room. 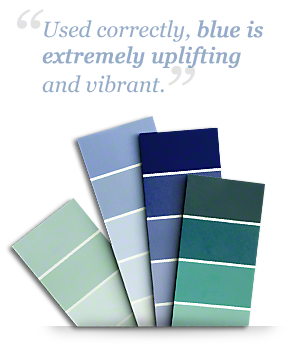 Consider the full spectrum of shades of blue, including some of the lesser-known hues. Shelley is particularly fond of teal. Explore the blue-gray family, especially if you are afraid of pastels. “These hues have a calm, zen, quiet effect,” Shelley says. Pair blue with a warm neutral. Cream, sand and light taupe are good choices. Consider design style. Blue lends itself especially well to transitional design, a marriage of traditional and contemporary that is as popular as it is affordable. Keep decor clean and uncluttered. Blue is eye-catching, so edit well. Avoid busyness. Make sure you have enough light. Use airy drapes to bring in as much light as possible. Use blue in your kitchen. 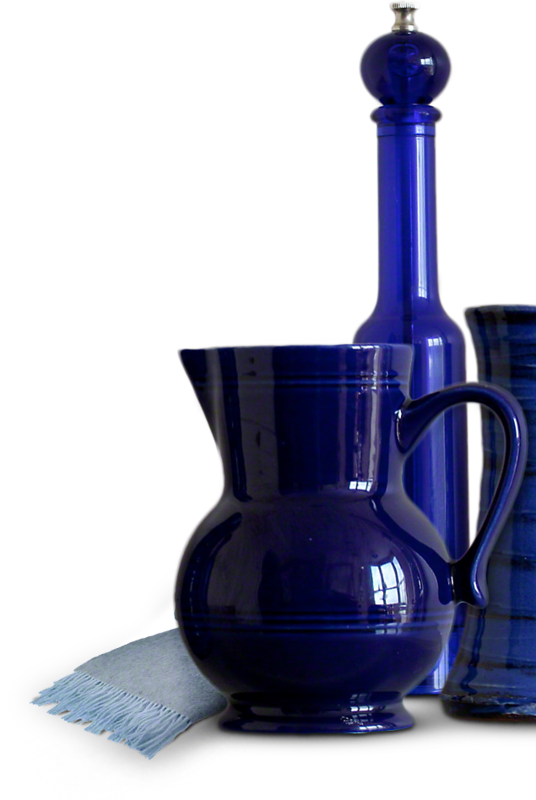 Blue is a great choice for cabinets, chairs, and accessories. Experiment with a blue furniture stain on inexpensive chairs. Try blue as an accent color or color block. Painting a whole room blue can feel like too much. Instead, paint the walls neutral and then work blue into the room. Go navy. “I’m predicting navy as a color that will make a comeback,” Shelley says. Reconsider blue or use in moderation if you live in a cold climate. A blue room might make you feel even chillier.